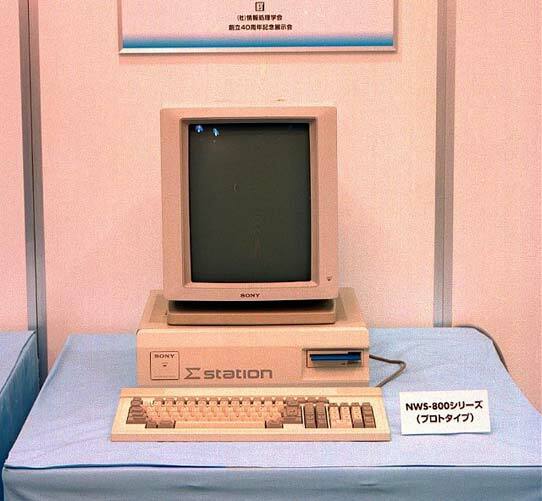 The NWS-800 Series (popularly known by the name "NEWS") was a machine born of the ambition to enable a single person to monopolize a workstation with performance on a par with the VAX-11/780. This series was designed for use in environments with a high I/O load, by using dual processors (two MC68020s) and making the I/O processor independent. The basic OS was UNIX 4.2BSD, and these machines pioneered the era of "open distributed processing environments" by adopting NFS and the X-Window System. Sony's own real-tine monitor was active in the I/O processor. This machine was widely used in universities and research laboratories, and was active in fields such as software development and desktop publishing. The exhibited product is an NWS-800 Series prototype, with 2MB of memory and an 80MB HD. 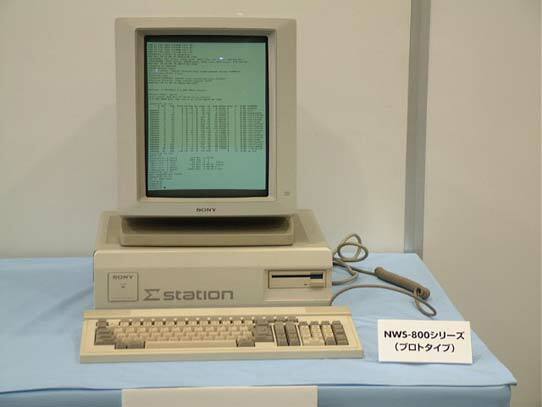 "Σ-station" is written on the front panel, but this has nothing to do with the Sigma Project.